If you are looking for an office coffee machine you may feel that you like to look of the Jura range of equipment. It is possible to order much of their equipment from various web shops on the Internet. If you decide to do this then the machine will almost certainly be delivered in a box and you will be left to set it up yourself. 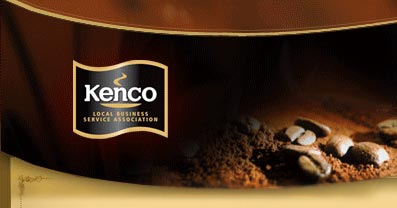 Kenco Local Business Service believe that it is always better if they are set up correctly by a fully trained technician from the start as it heads off a whole raft of potential problems. First and foremost is the quality, and size, of the drink. The amount of coffee used per drink and the fineness of the grind of coffee can be altered substantially in the Jura range of coffee machines in order to obtain the optimum quality of coffee. We feel that this is best done by a trained technician. Secondly is training for your staff in how to use and clean the machine. This is very important as if the machines are not cleaned properly then they will, without doubt, go wrong. It is therefore imperative that whoever is tasked with the cleaning is properly trained in how to do it. Again we feel this is a job for a technician. The machine also needs to be set up for the appropriate hardness of water. This will affect how often the machine will ask for it’s filter to be changed and how often it calls for the descale cycle to be performed. If the filter is not changed regularly and/or the descale cycle ran then the machine will scale up. This can cause a whole range of problems so it is essential that this is set up correctly when the machine is first installed. In conclusion you should be able to see by now how important it is to set these bean to cup coffee machines up correctly. 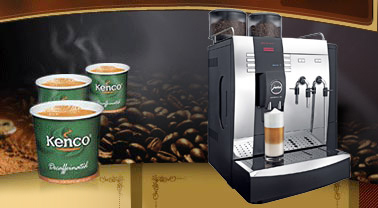 At Kenco Local Business Service we always include free delivery, installation and training with any Jura coffee machine that we sell. Many other coffee machine suppliers do not. This entry was posted in Coffee machine and tagged Bean to Cup coffee machine, Jura coffee machine, Office coffee machine. Bookmark the permalink.